Planned strikes by Network Rail workers have been called off after a new pay offer was made today (Monday). 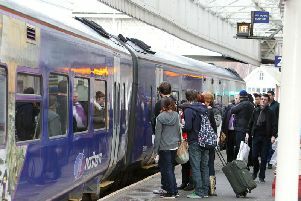 Members of the Rail, Maritime and Transport (RMT) union were due to walk out for 24 hours from 5pm on Thursday and for 48 hours next week after rejecting two proposed deals. The breakthrough came after four days of talks at the conciliation service Acas. An Acas spokesman said: “After four days of intensive talks, Acas has helped Network Rail, RMT, TSSA and Unite formulate a set of revised proposals that the trades unions will now take away to consider.